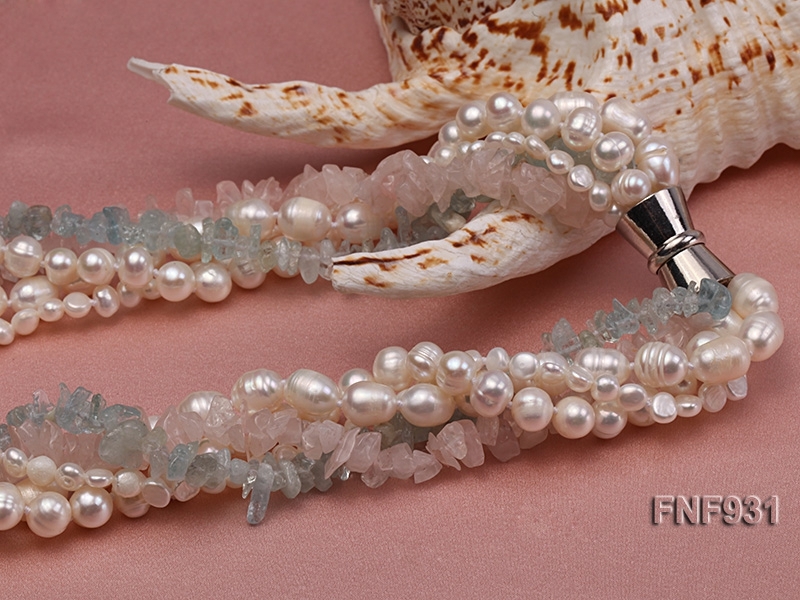 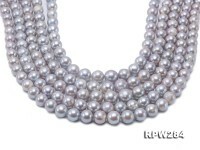 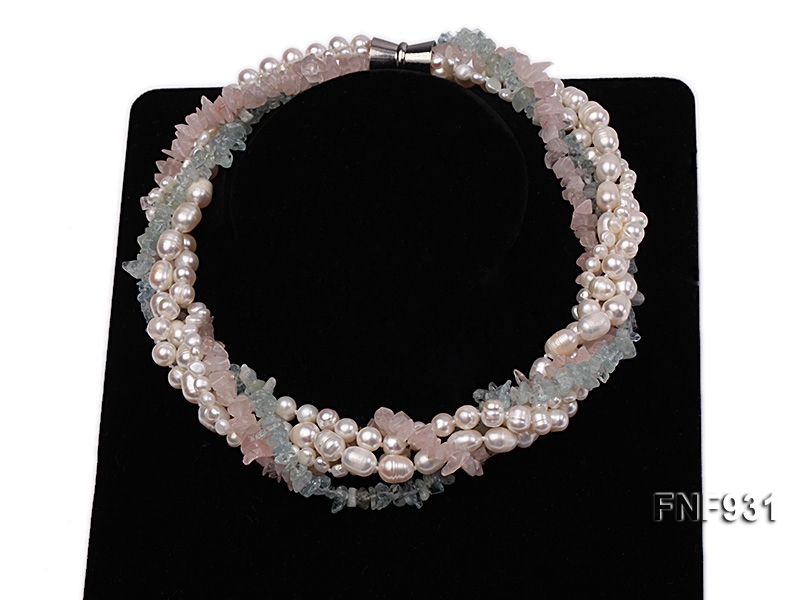 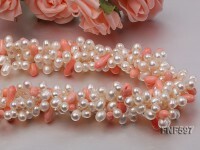 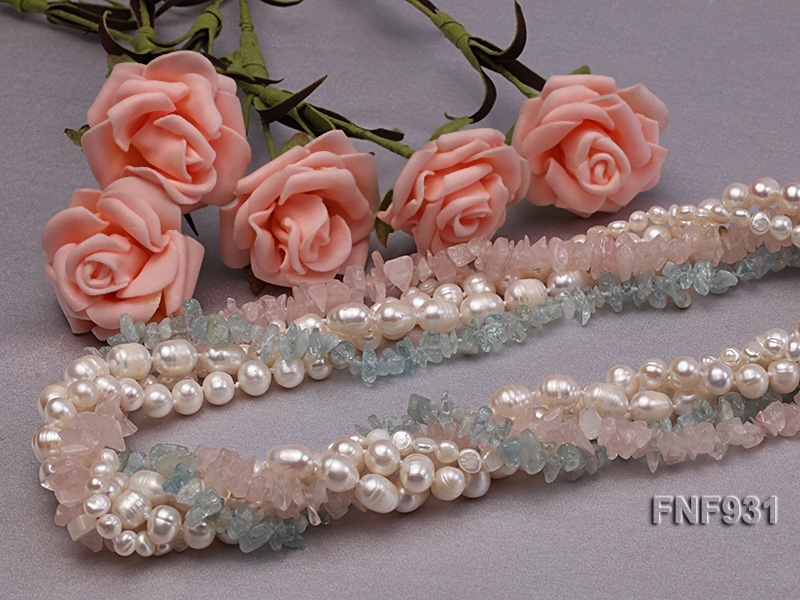 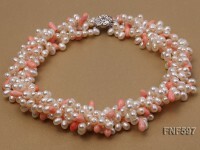 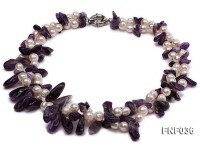 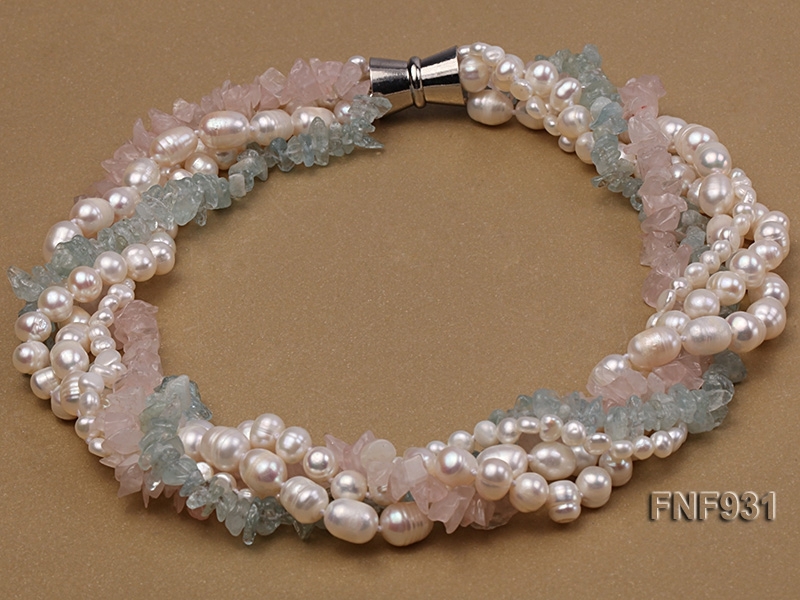 Pretty five-strand necklace made of a strand of 6-7mm pink crystal chips, a strand of 6-7mm blue crystal chips, a strand of 3.5mm white flat cultured freshwater pearls and two strands of 6.5mm white oval cultured freshwater pearls. 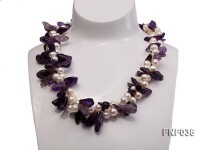 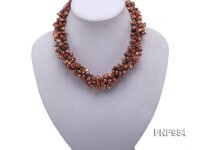 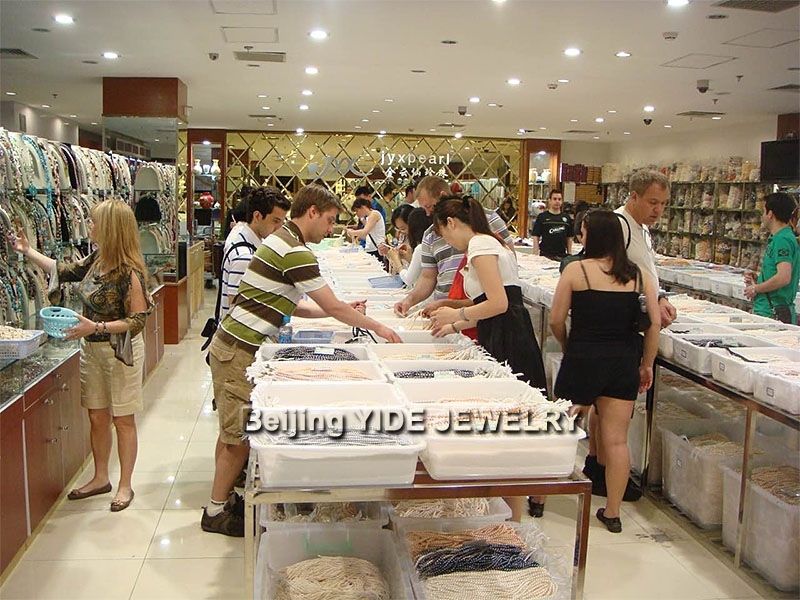 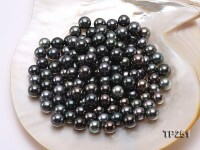 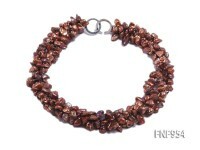 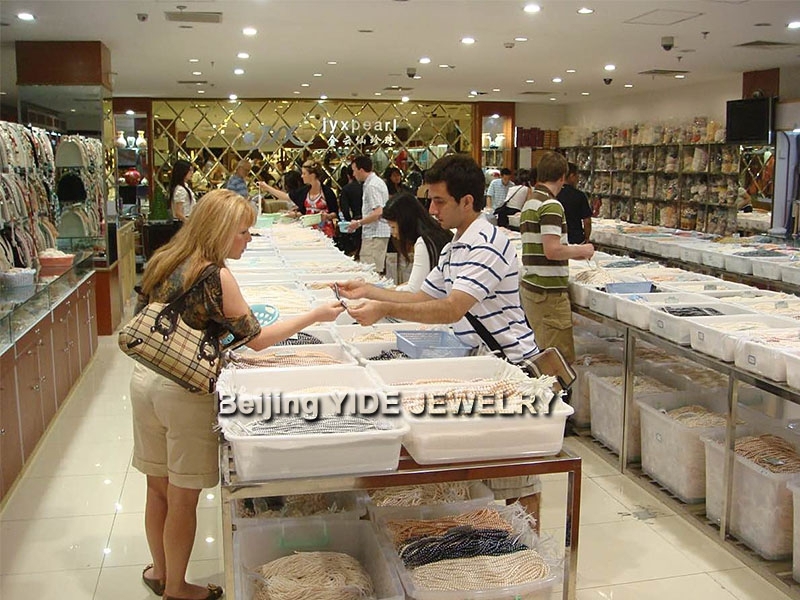 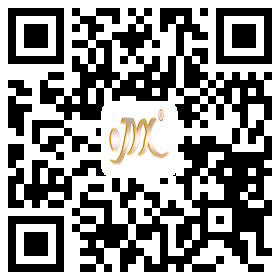 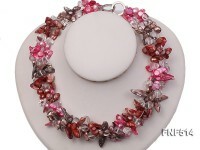 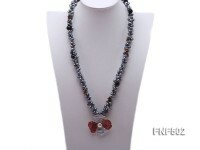 The necklace has a length of 18.5 inches and is ended with an argent gilded magnet clasp. 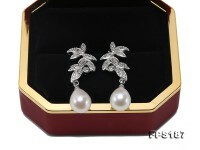 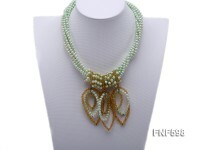 The necklace looks elegant and graceful.